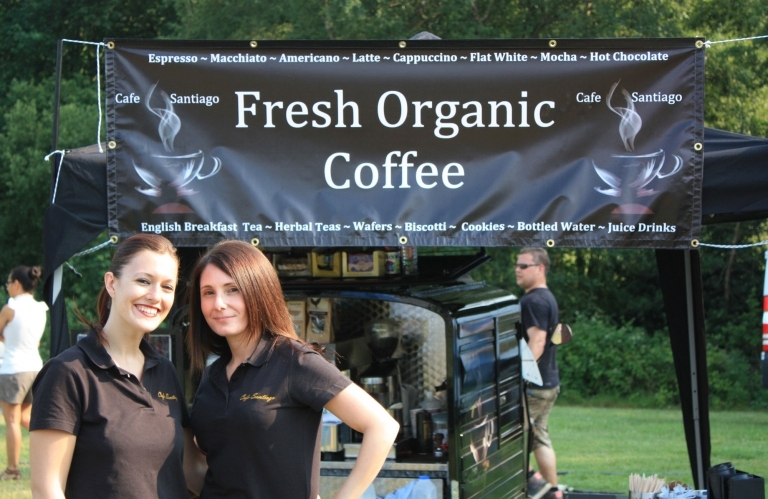 At Cafe Santiago we specialise in bringing quality fresh ground coffee to your event, all served from the convenience of our little mobile coffee vans or trikes. It is like having the best coffee shop right where you want it and need it most! Our mobile coffee van, coffee trike or coffee bar are available to hire for a variety of occasions including film & TV shoots, weddings or private parties, corporate events ot products launches. Well we've been around for a quite a while now and are proud to have honed our barista making skills. We have a good knowledge of our industry and by cementing our reputation as one of the leading mobile coffee providers in the UK, you can rest assured that in hiring Cafe Santiago, you will receive, not only great coffee but a professional and friendly service to boot. Our biggest success to date is having our coffee van at the London 2012 Olympic Games serving the athletes and officials throughout the games.... We have even helped launch other mobile coffee companies too! Here are a few more reasons why you should hire us! We serve fantastic freshly ground coffee - some say the best in London! Our baristas are professionally trained, friendly and experienced in our mobile business. We are completely self contained - we can run on our own internal power system meaning we can literally go anywhere. Indoors or outdoors? neither is a problem, as long as you dont need us to climb any stairs - but in case you do, you can always try our mobile coffee bars. For those of you out there that prefer tea - we have partnered with the amazing Tea Pigs to bring a selection of their fresh leaf teas to you. They are simply amazing tea temples, from peppermint or chai to your everyday breakfast brew! Check out our menu for a full range of what we can offer!